The Burning Ear – Page 616 – The music blog for people who don't have time for music blogs. Troy This is living the American Dream… with Robyn!? What the hell else am I supposed to say? He lives in Los Angeles? He’s got Robyn giving him guest vocals? Yeah, I mean he only gets fresher. Troy This – Back That Up! https://www.theburningear.com/media/2009/05/troythis.jpg 334 500 Brandon https://www.theburningear.com/media/2015/03/TBE-Header-Logo-2015-stack1.png Brandon2009-05-14 18:11:232009-05-14 18:12:14Troy This is living the American Dream... with Robyn!? I know I said that these Remix Roundups wouldn’t be as big as last time. Oops. When someone drops me a commentÂ recommendingÂ an artist its hard to tell whether its a real heads-up or some loser peddling his Creed tribute band. Not one to be a hater without good reason, I set out to come up with one, after all the mixtape is free from iTunes. Trowing it on my iPod and heading out the door I had one the most fun cross-town walks ever, a huge smile plastered across my bouncing head. “Cooler Than Me” (above) is the perfect ode to the too-cool-for-school mean girls we have all met. And how can you listen to The Fray inspiredÂ biting “Still Not Over You” (below) and not grin? So anyway, who is this Mike Posner? Clearly, he is white, but don’t lump him in with Eminem or Asher Roth. At 21 and a Duke University junior, he leaves the whiny-whitey act at home and brings straight smokey soul and tight production. Did I mention he uses a live backing band, The Brain Trust? Yeah. Hot. The A Matter Of Time mixtape is the first mixtape I can listen listen to without skipping anything. And its free, so go get it. Seriously. This track is not onÂ A Matter Of Time but is the best rip at Kanye/beer-goggles tribute ever. Ahhh man, its hard to type when you’re laughing. 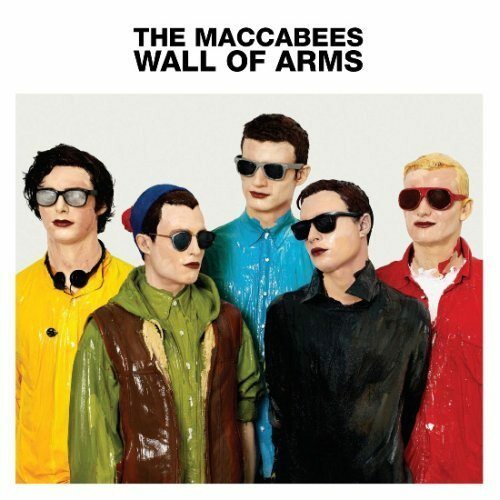 When The Maccabees blew onto the scene in 2007 I was caught in their storm. 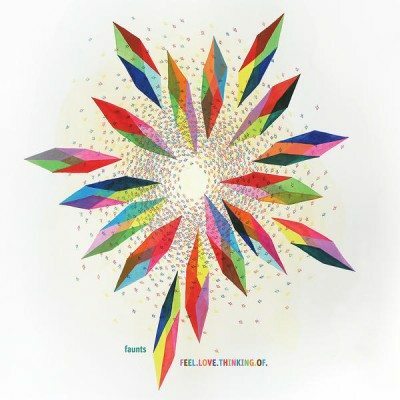 Their debut LP Colour It In was what The Futureheads’ second album should have been and I loved them for it. Orlando Weeks voice has a specific vulnerable urgency that when coupled with their propulsive guitar rock works magic on me. It seems that most people know them for their single “Toothpaste Kisses” which is unfortunate because it always seemed like the token mellow filler among an LP packed with rock. Anyway, enough praise for their debut, its time to give some love to their recently released follow-up,Â Wall Of Arms. I have had Wall it on repeat all day and haven’t skipped one track. ItÂ is smart, sharp, fast, tight, and most importantly, it is out now. The fantastic lead single “Love You Better” (above) and my fave (not easy to choose) “Can You Give It” (below) will give you a good idea of what you are in for when you make the smart decision to pick this one up. Here is my favorite from their debut Colour It In. Filthy Dukes – Messages (Ft. Tommy Sparks)Â / Removed by label request. Apparently Filthy Dukes have been grabbing blog headlines for months now but I only stumbled upon them yesterday when Silence-KillerÂ recommendedÂ them (pick up 2 remixes there). Not one to discount a trusted source, I picked up the album… and then had a lot of trouble putting it down. “Messages” follows “This Rhythm” as the latest single off their debut LP, Nonsense In The Dark, and although it drips withÂ pop appeal, it’s accessibility fits perfectly into the mix of darker and grittier electro on the album. I could go on forever about how awesome each track is but I’ll just let you go buy it and hear for yourself. I will, however, rave about just one more, the album’s title track featuring The Maccabees’* lead singer Orlando Weeks. For some reason this guy’s voice just gets me every time. “Nonsense In The Dark” is six and a half minutes of pureÂ ecstasy, starting slow and building instrument after instrument over Weeks’ fantastic crooning. I think it’s time I stop talking and you start listening. Enjoy. I am. 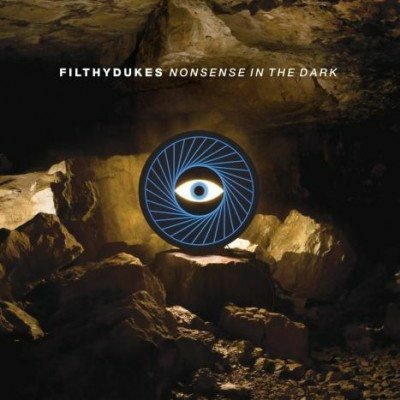 Filthy Dukes – Nonsense In The Dark (Ft. Orlando Weeks)Â / Removed by label request. Just go buyÂ the damn album already! *More on their latest album tomorrow! Bury your face in MySpaceÂ /// Buy it! Paul and The Patients are a Brooklyn 5 piece whose debut EP To The Lions comes out soon on American Myth (Home to Tigercity!). “Blogspot” seems to be a rip on not so much the inferior blogging platform but rather blogging in general. Well I ain’t drinking the Haterade cause this song is just too jammin. The smokey vocals echo over the foot-stomping drum beat and jangly guitars as Paul dishes out a piece of his mind. You tell ’em, Paul. I hear ya.